As Japan is known for being a country whose citizens have incredible discipline in cleanliness, study, craft, and passion, it has been home to many sports figures who have made their mark in the industry. Some of them perform so well at it that they win major international competitions, such as the Olympics. 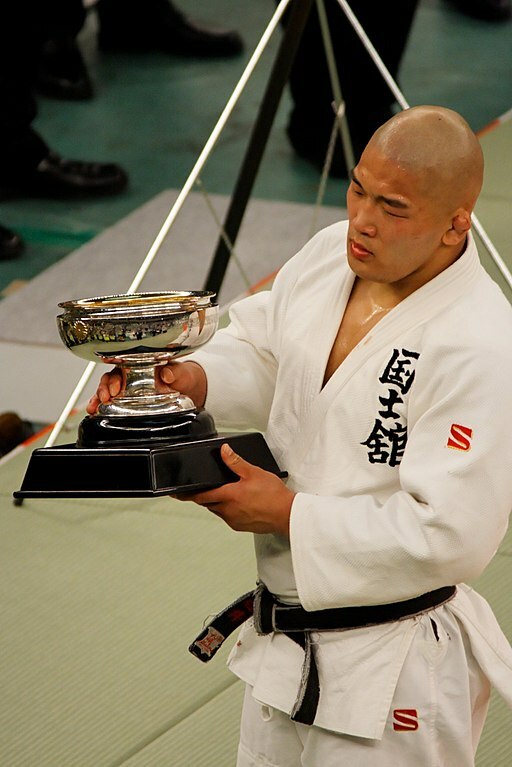 One Japanese man who has made his country proud in terms of his sports achievements is Satoshi Ishii. 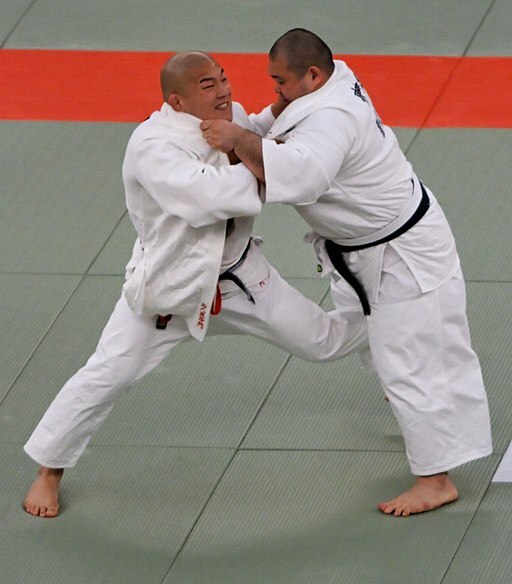 Born “Ishii Satoshi” (石井 慧 in Japanese and the surname is placed first) on the 19th of December of 1986 in Ibaraki, Osaka in Japan, Satoshi Ishii is world renowned for being an excellent “Judoka” - one who practices Judo, and as a mixed martial artist. He has placed first in several Olympic games and has signed a contract with the Rizin Fighting Federation that which is still undergoing. Satoshi Ishii’s height is 5 feet, 11 inches, or 180 cm. His last recorded weight was 231.9 lb., or 105 kg, otherwise known as 16 stone, 8 pounds. The divisions he competed in were both light heavyweight and heavyweight. Teams he has joined include the Cro Cop Squad Gym, Kings MMA, Reign Training Center, Black House and I Dash, which lasted from 2009 until 2010. He currently ranks as the 6th dan black belt when it comes to Judo, but in Brazilian jiu-jitsu, he is a Brown-belter. He has been professionally active in his Mixed Martial Arts career since 2009 and still is active today. 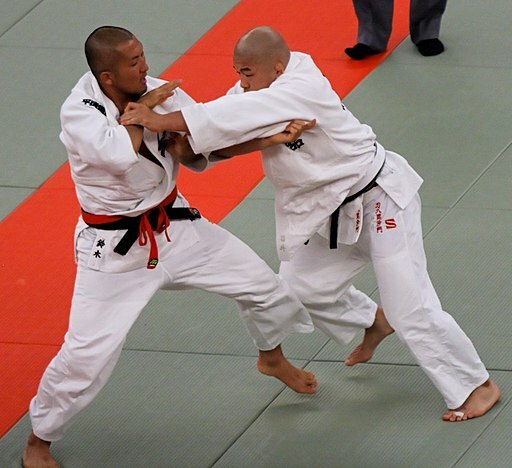 While Ishii was practicing and competing in Judo, he won 5 gold medals, and one silver medal while representing Japan. His first win, representing Japan, was in the Asian U20 Championship held in Doha in 2004. He competed in the less than 100kg division, taking home a gold medal. He took another gold medal home in the same year, but this time at the World U20 Championship held in Budapest in October of 2004, also competing in the -100kg division. The Asian games in 2006, held in Doha, was the only major Judo competition where he brought home a silver medal. In 2007, he joined Universiade in Bangkok, which he won gold in. Call it a streak of luck or an excellent year, but he won another gold medal, this time in the World Championships Teams held in Beijing, China. This time he was in the “Over 100kg” category. The very next year in August, he competed in Beijing again for the Olympic games and brought home the gold medal. He competed in the All-Japan Judo Championships in April 2006 and 2008, (he was not representing Japan, as he was going against other Japanese competitors) which was held in Tokyo in 2008, and he won it. Lastly, in 2011, he competed in the open division of the United States Championship. For that game, Satoshi Ishii won the gold medal. 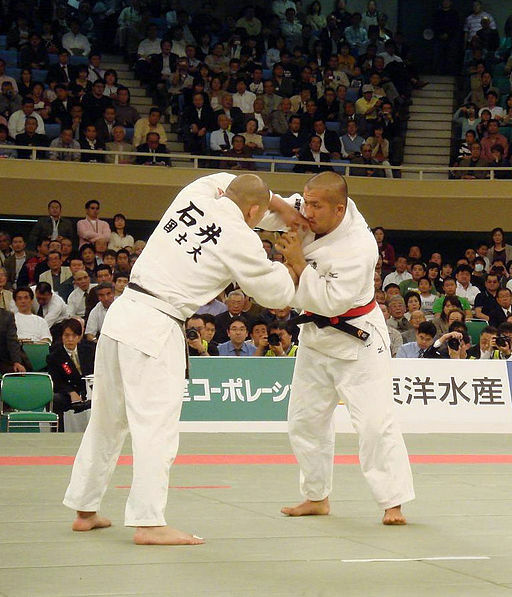 Although Judo seemed to be his main sport, it was after he won his Olympic gold medal in 2008 that Ishii decided to try competing in Mixed Martial Arts competitions. The Japanese Judo Federation was not happy with Ishii’s decision, but he had already had a written agreement with “FEG” (Fighting and Entertainment Group), which was an MMA promotion in Japan. He was going to start competing in “DREAM”, which was a fighting series promoted by FEG. It was reported by Sports Nippon, a local newspaper in Japan, that Ishii would start his first game in the ring on December 31, 2009. This fight was to be held at the Saitama Super Arena, for the yearly kickboxing and MMA event called “K-1 Premium Dynamite!!”. But this was dampened when Ishii said that he did not agree with the offer given to him by FEG, and instead planned to go to the U.S. and compete in the Ultimate Fighting Championship (UFC) to further his career in Mixed Martial Arts. From then on, Satoshi Ishii flew to Florida and garnered support from the American Top Team (a top camp in the field of Mixed Martial Arts), which helped him train. Ishii then joined World Victory Road, an MMA organization headed by Japanese nationals, and was officially signed in to the organization by June 4, 2009. He was set up to go against Hidehiko Yoshida, who was also an Olympic judo gold medalist. After being initially canceled, it was held on New Year’s Eve by during the Dynamite!!! 2009 event of DREAM. Although Ishii was a crowd favorite for that fight, he lost unanimously to Yoshida in his debut fight, as Yoshida was more experienced than he was. He did put up a fight, though. During the first round, Yoshida landed more hits, namely knees, uppercuts, and a strong right overhand. As for Ishii, he redeemed himself in the next round but lost his momentum when he kneed Yoshida’s groin, causing him to lose points. Ishii continued to land punches in the subsequent round, yet he still lost. Unfazed, Ishii picked himself up and went for a second fight months later, on May 15, 2010, in the event called “X-plosion: New Zealand vs. Japan” held by ETK. He went against Tafa “Thumper” Misipati, who was a heavyweight kickboxing champion from New Zealand. Ishii was successful in locking his opponent in an armbar and thus won by submission as early as the first round. The very next month, Ishii found himself in hot water in Hawaii while against opponent Myles Tynanes during the “X-1 World Events: Nations Collide” event. Ishii was successful in knocking down Tynanes, but he did not stop punching even after the referee ordered him to. This lead to his disqualification. If there’s any website you should visit to read verifiable content on Mixed martial arts and sports, Sherdog is it. Sherdog is a website that dishes out sports media, particularly about MMA. It’s American-based and is a part of a network by Crave Online. It is also connected to ESPN.com. Its owner is Evolve Media LLC, and it was created by Jeff Sherwood, launched as early as 1997. According to statistics written on Sherdog’s website, Satoshi Ishii would continue to fight in a total of 25 mixed martial arts competitions. Of the 25, he won 16; 8 of them by decision, 7 by submission, and 1 by knockout. Of his 8 losses, 3 were by decision, and 5 were by knockout. Ishii incurred only 1 draw so far in his career in MMA. As for his amateur record, he participated in only 2 fights; one which he won by submission, and the other, which he lost. He did win the first IGF (Inoki Genome Federation) Championship against Sean McCorkle, held on February 23, 2013. As there are legends in the field of mixed martial arts, Fedor Emelianenko was one of them. Born in the Ukranian SSR in the Soviet Union on September 28, 1976, Emelianenko is nicknamed “The Last Emperor”, standing at 6 ft tall (1.83 m) and weighing at 240 pounds, or 110 kg. Teachers Andrei Kopylov and Volk Han guided him, alongside trainers Vladimir Voronov for Judo and Sambo, Alexander Michikov for boxing, Peter Teijsse for Muay Thai, and Ernesto Hoost for Kickboxing. He is still part of the Red Devil Sports Club/Alexander Nevsky OAMK, as he was part of it since 2003. Representing Russia, Emelianenko won a total of 11 gold medals, and 5 bronze medals, in games such as the Russian Championships for Men’s Judo, Russian Championships, European Championships, and World Championships for Men’s Combat Sambo. While the Russian fighting star currently lives in his home country, he has competed in a total of 43 games, 37 of which he won – 11 of them by knockout, 17 by submission and 9 by decision. Of his 5 losses, 4 were by knockout, and one was by submission. One of his fights ended up no contest. Satoshi Ishii went against Emelianenko in “Fight for Japan” Genki Desu Ka Omisoko 2011”. Ishii was knocked out in the first round by Emelianenko. Quinton Ramone Jackson, also known as “Rampage” Jackson, is known for being a former UFC Light Heavyweight Champion. He is known for his aggressive fighting style, as well as his unique personality, which leads him to become famous in Japan. He is one of the few that you could say pioneered mixed martial arts by joining the UFC, helping it become a more globally recognized sport. Quinton stands 6 ft 1 inch tall, or 185 cm, weighing at 254 lbs., or 115 kg. He has participated in Middleweight, Light heavyweight, and Heavyweight divisions, and has learned different fighting styles, namely kickboxing, boxing, prowrestling, wrestling, and karate. He currently lives and fights out of Irvine, California. He is part of four teams, Rampage Fitness Academy Team, Team Oyama, Team Punishment, and Wolfslair MMA Academy. In his entire MMA record, he has had 50 fights, 37 of them he won. Out of those 37, 16 were by knockout, 7 were by submission, and 15 were by decision. From his 13 losses, 3 were by knockout, 2 by submission, 7 by decision and 1 by disqualification. He has been active since 1999 and works with 2 trainers, Colin Oyama and Lance Gibson. When Satoshi Ishii went against him at the Bellator 157, 2 years ago, on June 24, 2016, Ishii lost, as Rampage Jackson won by split decision. Though there may be a professional judo and MMA fighter who goes by the name of Satoshi Ishii, he does share his namesake. There exists another Satoshi Ishii, but this time he is an assistant professor at the University of Minnesota (UMN). He works at the department of soil, water, and climate. This Satoshi Ishii has earned a B.S. in Biological Chemistry from the University of Tokyo in 2001, an M.S. in Soil Microbiology and Biochemistry from Iowa State University in 2003, and a Ph. D. where he majored in Soil Science and minored in Microbial Ecology in 2007 in the University of Minnesota. There is another Satoshi Ishii, this time he works at the National Institute for Materials Science, known as “NIMS” as a Senior Researcher – particularly for the Nano-System field, Photonics Nano-Engineering Group in the International Center for Materials Nanoarchitectonics. Want the latest updates on what the MMA fighter Satoshi Ishii is up to? Follow his Instagram account “satoshiishii0141” where he has been regularly updating since July 2018. Here, he shows pictures of himself training and getting ready for his next competition, as well as bonding with other famous and notable personalities linked to mixed martial arts. It was through this account that Satoshi recently expressed that he intends to fight in FFC (Final Fight Championship) for the heavyweight title in Las Vegas.